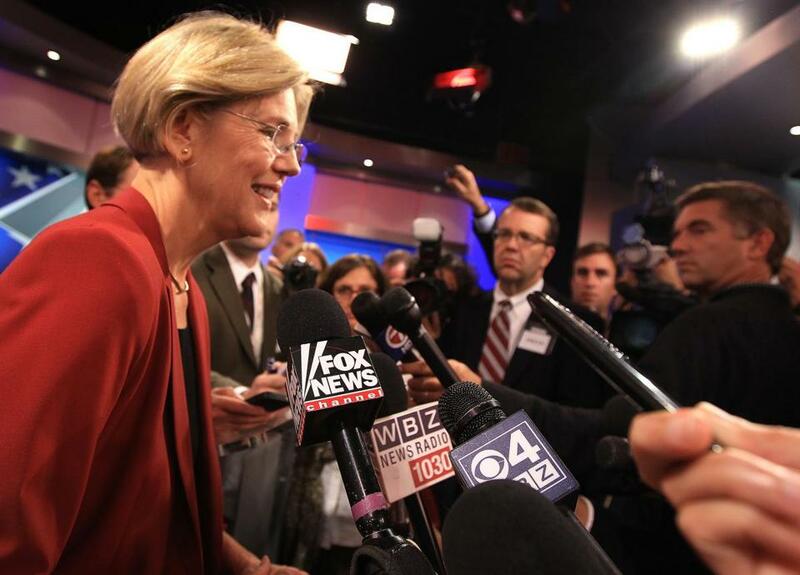 Senate candidate Elizabeth Warren spoke to reporters after debating incumbent Scott Brown last week. Brown has criticized Warren for her role in an asbestos case. US Senator Scott Brown has attacked Elizabeth Warren in recent days for her legal work on behalf of Travelers Insurance in an asbestos case, asserting that it undermines her reputation as a consumer advocate. But Travelers is not the only large corporation Warren has represented. Warren also helped write a petition to the US Supreme Court for LTV Steel in the 1990s, assisting the former industrial conglomerate in its fight against a congressional requirement that it pay millions of dollars into a fund for its retired coal miners’ health care. Her advocacy on behalf of a large corporation, opposing a mandate to pay for the health benefits of blue-collar retirees and their families, would seem to undercut her image as a middle-class champion, the central message of the Democrat’s Senate campaign against Brown, the Republican. But Warren’s campaign argues that the retirees’ benefits were not in danger, even if LTV had won its legal battle. And it argues that she was fighting for a principle that could protect less powerful people who have claims against bankrupt companies. 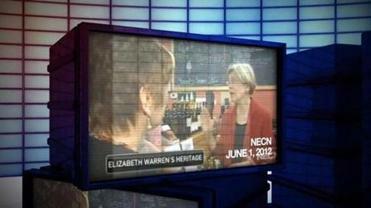 Warren had a small role, the campaign said, making about $10,000 to write a Supreme Court petition. Warren, through her campaign, declined an interview request. Senator Scott Brown and his Democratic rival Elizabeth Warren launched dueling ads over her claims of Native American heritage. Warren, a Harvard Law School professor, did not argue the coal case in two lower courts, where LTV lost. Instead, she is listed on a petition to urge the Supreme Court to review the case, which the court rejected. The Coal Act was passed in 1992, to finance a fund for the long-term health care of retired mine workers and their families. The case involved the question of whether LTV, which was emerging from bankruptcy when the Coal Act took effect in 1993, could be forced to pay out more money after its bankruptcy was completed. Warren argued that the company’s obligations under the Coal Act should have been addressed as part of the bankruptcy. Warren worried that in the future, similar claims would also have to be put off until the bankruptcy procedure ended, her campaign said. That could imperil victims of companies that shut down completely instead of reorganizing as LTV did, her campaign said. But opponents, including the Clinton administration, argued that LTV and other companies challenging the statute were trying to take advantage of the bankruptcy laws to avoid their responsibility. And mine workers and their advocates also argued that if LTV or any other company tried to avoid paying into the Coal Act fund, the entire fund could collapse. Senator John D. Rockefeller IV, of West Virginia, made a similar argument, telling the panel that retirees, whose average age was 77, could be left “out in the cold” if firms won any exemptions from the law. Trumka, now president of the national AFL-CIO and a major supporter of Warren who campaigned with her in Boston Monday, said in a recent interview that “I said what I said” in 1993. But he argued that Warren would be a far better advocate for workers than Brown, who he said voted for a budget proposal that cut funding for mine safety and several other measures that would hurt workers and labor unions. Brown’s campaign said Monday that the budget cut was less than 1 percent and added that Brown has been a popular and strong advocate for union members because of his support for low taxes and less government spending. Spokesman Colin Reed said Brown “is also the only card-carrying union member in this race,” pointing to the former model’s membership in the Screen Actor’s Guild and American Federation of Television and Radio Artists, which have since merged. For coal miners, the guarantee of long-term health care has long been a priority, given the risks they face both in the mines and after they retire. The coal industry paid for these guarantees through a series of industrywide union contracts that created large health care funds. But companies that stopped actively mining coal could discontinue paying into the funds, leaving other companies to pay their retirees’ health costs. And the funds, known as benefit trusts, were at risk as health costs rose and coal companies began leaving the industry or declaring bankruptcy. LTV got out of the coal business in the early 1980s and reorganized under bankruptcy laws in 1986. It went out of business following a second bankruptcy in 2000. The benefit trusts reached a crisis in the late 1980s, leading to lawsuits among coal companies and a 10½-month strike against Pittston Coal Company in 1989. In response, Congress passed the Coal Industry Retiree Health Benefit Act, known as the Coal Act, which President George H.W. Bush signed in 1992. The act required LTV and other companies that had been in the coal business to pay the cost of benefits for their former employees, as well as for some employees who had been “orphaned” by other former coal companies, into a new fund. LTV, according to court documents, estimated its cost of paying into the fund at $12 million a year or more. LTV made a number of arguments in the courts, including that Congress was forcing the company to pay benefits from a union contract that expired in 1988 and that the Coal Act was forcing the company to readdress an issue — how much it had to pay for its workers’ health care — that had already been settled in a separate court proceeding. The company's former chairman, David H. Hoag, said at a 1993 congressional hearing that LTV had no role in creating the crisis that spawned the Coal Act because the health fund had a surplus when the company stopped paying into it. LTV and other companies in its situation “are no more responsible for the status of the coal mine retirees’ benefit funding than society at large,” Hoag said. The courts disagreed. “By exercising that contractual right and ‘orphaning’ its retirees in 1986, LTV became a prime contributor to the financial crisis in the benefit trusts,” Judge Gerald W. Heaney wrote on behalf of a three-judge panel for the Second Circuit Court of Appeals in 1995. Warren, who helped create a national consumer protection bureau, has had a long career in academia, and, in Washington, advocating on behalf of consumers against large corporations. Her academic research found that people who filed for bankruptcy were often middle-class workers who faced job losses, family illnesses, or other unexpected events. In the late 1990s and 2000s, she lobbied against a bill that would make it more difficult for consumers to wipe out debts by filing for bankruptcy. Warren has taken criticism from Brown for representing Travelers Insurance in a case where she earned more than $200,000. Warren, in that case, was on the same side as many asbestos victims, who were trying to unlock a $500 million settlement fund in exchange for giving the company immunity from future asbestos lawsuits. Travelers won the immunity, but in a separate case won an order that it did not have to pay the settlement. The bottom line on the LTV suit, Warren’s campaign said, is that LTV’s retirees and their families would have been paid even if LTV had won its case and did not have to pay into the fund. They argue that even without LTV money, the fund would have survived because it was forecast in 1994 to run a $32 million-a-year surplus.